Let Out Your Wild Side! If you and the girls are looking to go a little wild on your hen do in Barcelona, look no further than paintballing! 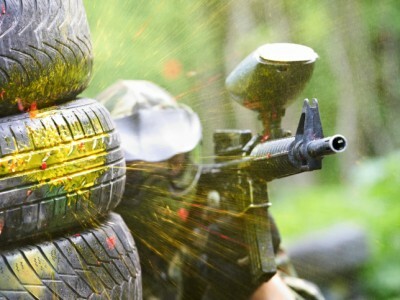 Paintball is universally loved for a reason – it’s incredibly fun! You and the girls can let your wild side roam free. Get your gear on, load up your guns and run wild in Barcelona! You will have everything that you have come to expect; protective masks, jumpsuits, semiautomatic weapons and paintballs! With this package each member gets 200 free balls. Loads up, have fun and get drunk afterwards – perfect!